Men have special needs when it comes to their nutrition. Busy lifestyles often result in less-than-desirable diets, leaving some nutritional gaps. In addition, aging brings with it special concerns related to energy levels, metabolism, and heart and prostate health. This means that men need multivitamin and mineral supplements that really pack a punch. 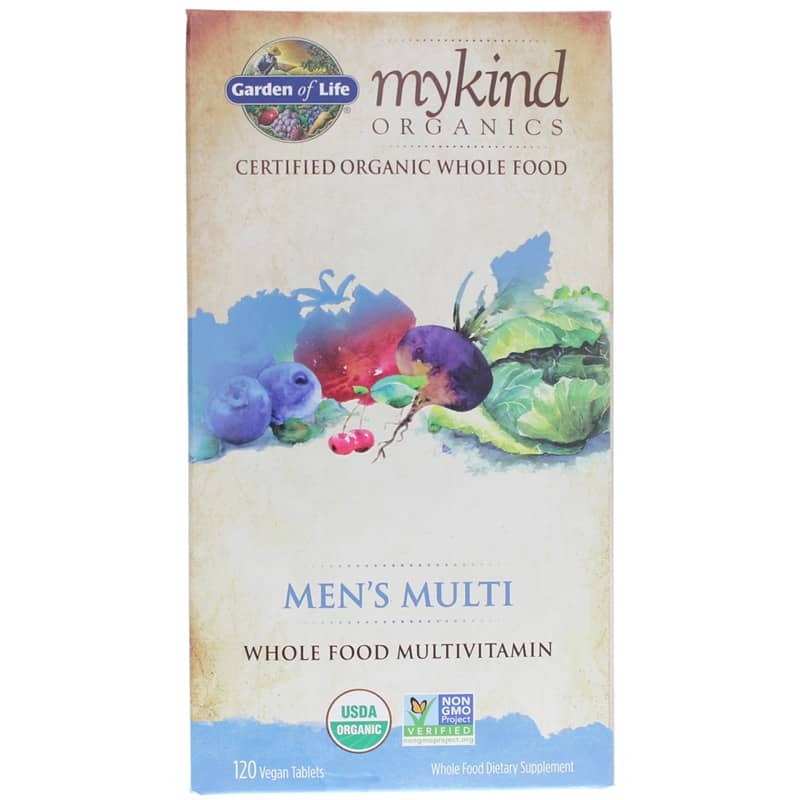 Garden of Life offers an organic multivitamin supplement called Kind Organics Men's Multi that supports the special nutritional needs of men. 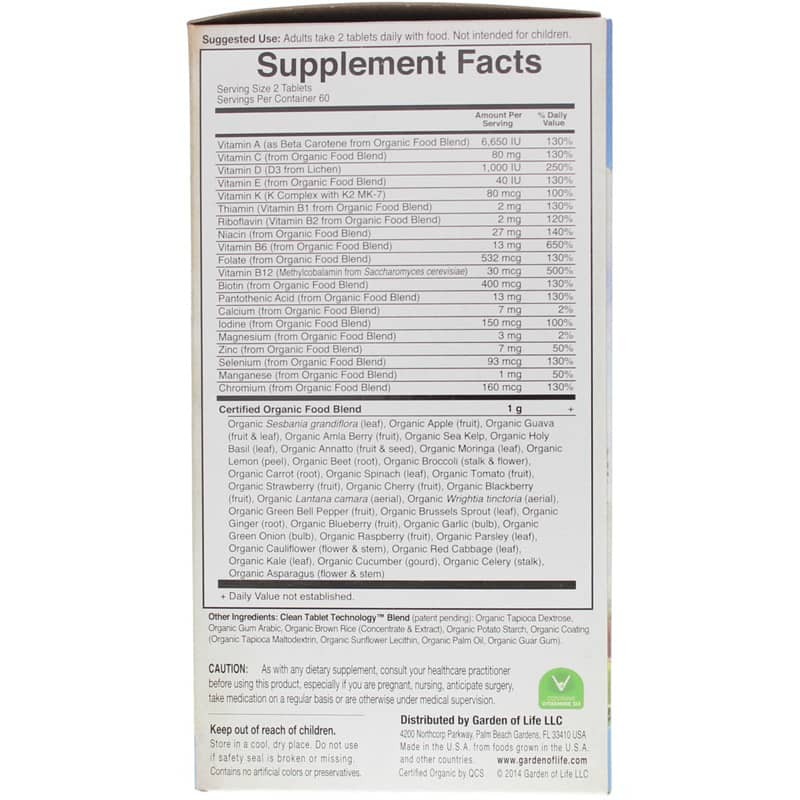 This supplement is made from real whole food, including organic fruits, vegetables and herbs. It contains no GMOs, gluten, magnesium stearate, stearic acid, titanium dioxide, carnauba wax, talc, artificial flavorings, sweeteners, coatings, preservatives or corn-derived ingredients. 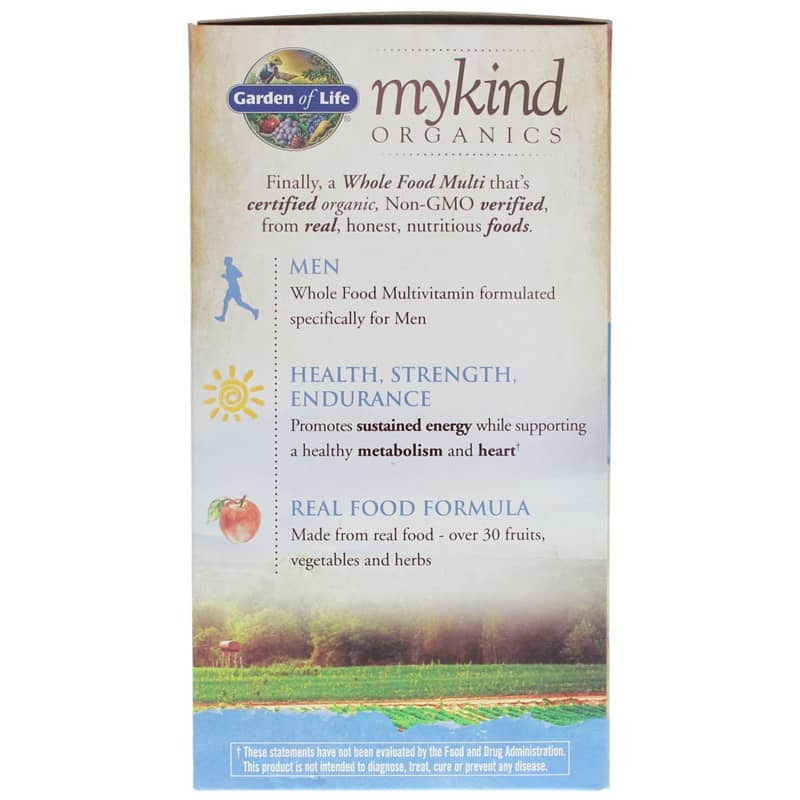 If you're looking for a natural multivitamin supplement that supports the nutritional needs of men, check into Garden of Life's Kind Organics Men's Multi. Order online today! Other Ingredients: Clean Tablet Technology Blend (patent-pending): organic tapioca dextrose, organic gum arabic, organic brown rice (concentrate & extract), organic potato starch, organic coating (organic tapioca maltodextrin, organic sunflower lecithin, organic palm oil, organic guar gum). 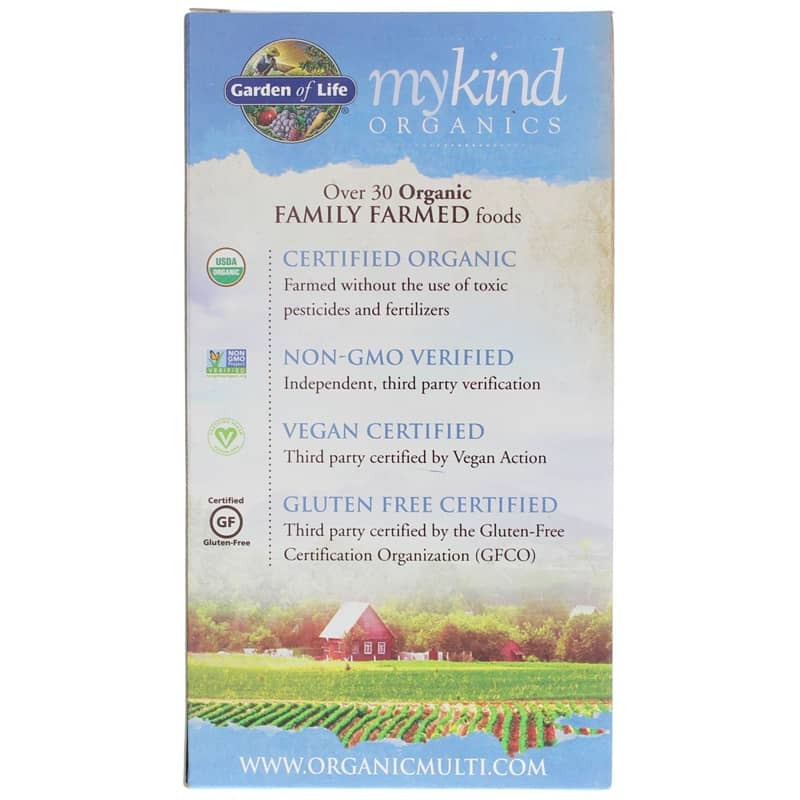 Contains NO: GMOs, gluten, magnesium stearate (vegetable lubricant), stearic acid, titanium dioxide, carnauba wax, talc, artificial flavorings, sweeteners, coatings, preservatives or corn-derived ingredients. Vegan. Adults: Take 2 tablets daily. Gentle organic formula may be taken with or without food. Not intended for children.